Outdoor living spaces let homeowners enjoy their entire property with the addition of outdoor living space. At Second Nature Landscapes, Inc., we make the outdoor living areas both functional and visually appealing with our design options for pergolas, arbors, and gazebos. We also blend in the use of backyard patios, outdoor fireplaces, outdoor seating areas, outdoor kitchens, outdoor bars, and other hardscapes. Our experienced outdoor living designers help homeowners decide how they plan to use their outdoor space and what features would best accomplish those goals. Will they be entertaining groups? Will they need extra privacy and quiet? All these questions and more go into deciding what outdoor living features will work best for your family. Pergolas and gazebos are a perfect way to complete an outdoor living area. They provide an element of protection against weather, allowing homeowners to enjoy their outdoor living space in most conditions. Bring warmth and relaxation to your outdoor living area with a fire pit or outdoor fireplace. 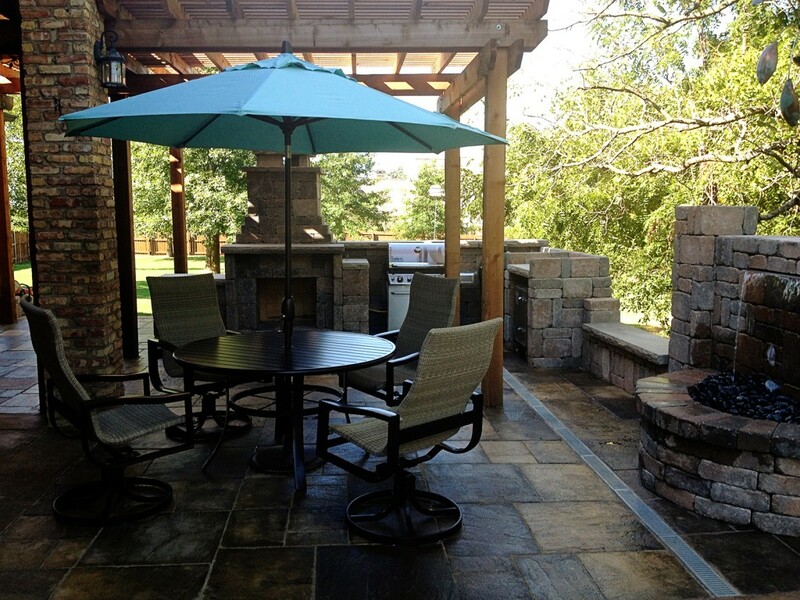 A patio fireplace or fire pit makes it possible to enjoy the outdoor living area year round. A backyard fireplace keeps friends and family warm during cool nights and provides a cozy atmosphere throughout the year. 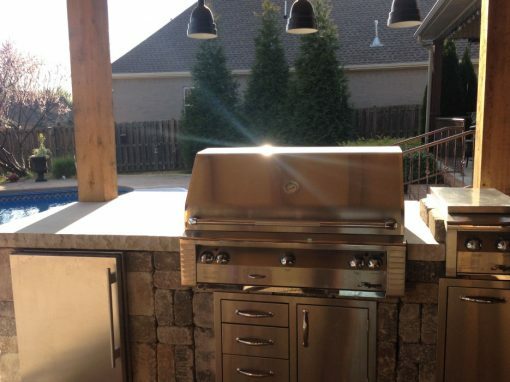 Due to the increase in the popularity of outdoor living spaces, homeowners in Northwest Arkansas now have many outdoor cooking options available. Second Nature Landscapes creates outdoor kitchen designs that make it easy and fun to bring cooking to the outdoor living area. Want to expand your living area to the beautiful outdoors? Let Second Nature Landscapes, Inc. create a beautiful and efficient outdoor living area that will bring hours of entertainment to your whole family. Homeowners can now enjoy an enhanced cooking experience in their outdoor kitchen with an outdoor gas fireplace, outdoor pizza oven, outdoor kitchen cabinets, and an outdoor kitchen sink. These amenities allow homeowners and guests, alike, to enjoy the outdoor living space year round and even appreciate a cooking experience that isn’t readily available with the existing indoor kitchen. Family and friends will enjoy congregating in an outdoor kitchen, allowing homeowners the ability to extend entertainment to their backyard. 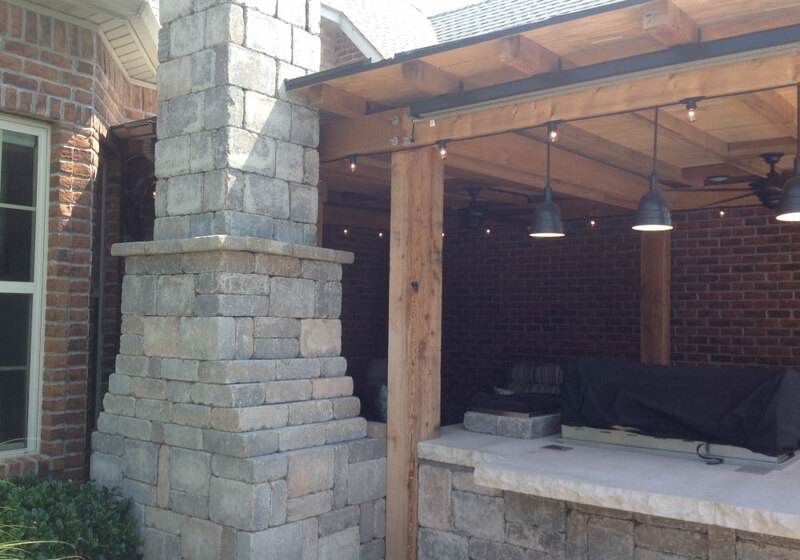 Let Second Nature Landscapes, Inc. design and install your dream outdoor kitchen today! 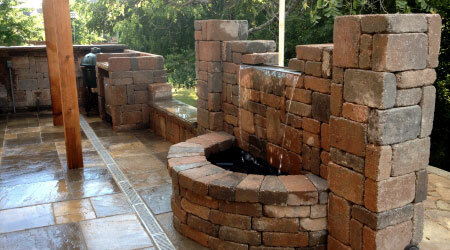 What kind of outside fireplace or custom fire pit do you want for your outdoor living space? Second Nature Landscapes, Inc. works closely with homeowners to design the most appropriate outdoor living space for the family’s needs. This includes deciding what kind of fire pit or fireplace works best, a wood burning fire pit, a gas fire pit, a natural gas fire pit, or a propane fire pit. You can have that cozy glow that comes with a backyard fireplace or backyard fire pit. 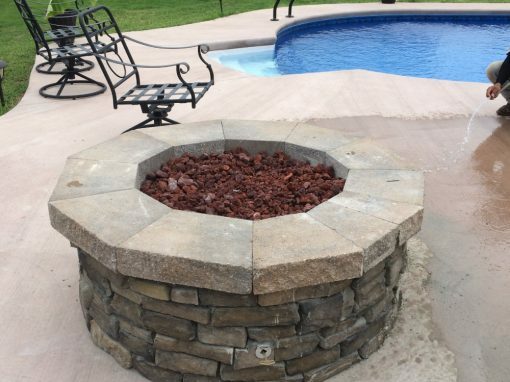 Second Nature Landscapes, Inc. will design and install an attractive and practical outdoor fire pit or backyard fireplace for your needs. 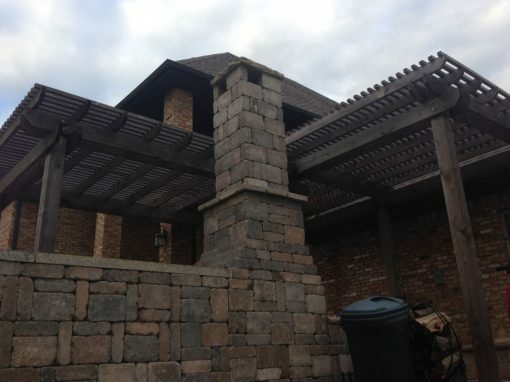 The pergola plans and gazebo plans that Second Nature Landscapes, Inc. design determine the best location and materials to fit your outdoor living area. Whether it’s a wood gazebo, metal gazebo, patio pergola, or a walkway pergola, the finished look will enhance your property while providing needed protection. Not sure of the difference between a pergola and a gazebo? The experienced design team at Second Nature Landscapes Inc. will explain the difference, as well as, help you select the right building materials available. A pergola is a freestanding structure that is often used to cover a walkway or provide filtered shade for an outdoor living area. The slats in the roof allow light to flow in while filtering the sun’s harshness. A gazebo is also a freestanding structure with a full roof but open sides (usually with a railing). Some gazebos are screened to keep out bugs but allow fresh air to flow. Gazebos and pergolas are perfect solutions for grill space or gathering space. A grill gazebo allows your family grill master to grill but stay out of the weather. Before you invite friends and family over to enjoy your backyard, invite Second Nature Landscapes, Inc. to design and install your pergola or gazebo.